We were joined by Dock City Rollers Plan B and Copenhagen Roller Derby All Stars, and the day turned out to be a nail biter with lots of people cheering for every team. 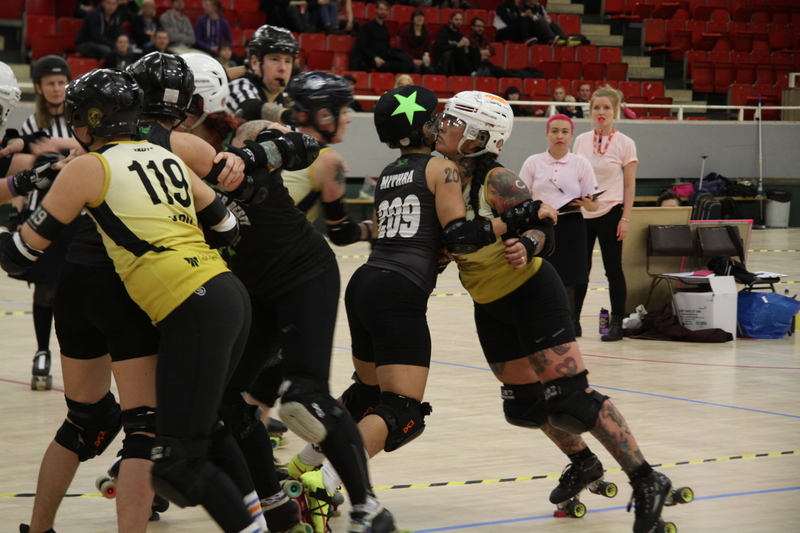 First up was Gothenburg Roller Derby Badass Beavers vs. Dock City Rollers Plan B. Two teams from the same city, and each fought hard to win. Right from the start, it was a nerve-wracking game. The scores remained very even throughout the first period, and by the time we got to intermission; Dock City had scored 86 points, and Badass Beavers 60. Dock City continued in the lead, meeting fierce competition from Badass Beavers. At the end of the second period, with all scores counted, Dock City Plan B had won the game with 224 points to 107. 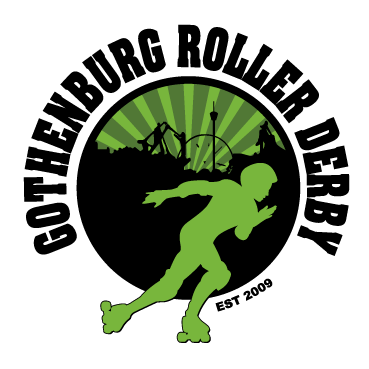 Next up, Gothenburg Roller Derby's The A-Team faced off against Copenhagen Roller Derby All Stars. Much like the game between Badass Beavers and Plan B, it was incredibly exciting to watch, and it was hard to tell who was going to come out on top. As we reached half time, The A-Team had scored 78 points and Copenhagen were just 23 points behind. In the second period, Copenhagen started closing in even more, and as we were down to seven minutes left of the game, there was only a twelve-point difference. As the final whistle was blown, Gothenburg had taken the win, with 176 points to 127. We would like to send a huge thanks to the teams, our officials and NSO:s, announcers, medical staff and every volunteer who came out and made this wonderful day happen. And to everyone who came and watched - thank you! We hope you had as much fun as we did!